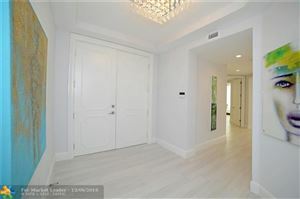 With its commanding position in Hillsboro Beach'sGÇÖ superior Hillsboro Mile neighborhood and situated conveniently midway between the metropolitan areas of Miami and Palm Beach, this private 1.7-acre parcel takes elegance to new levels, exhibiting the finest and purest essence of luxury and scale. Unparalleled views are showcased in every direction, making for a truly lasting first impression. Encompassed gracefully by the Atlantic & inland waterway while boasting 100GÇÖ of ocean frontage & over 120GÇÖ of direct Intracoastal in a no wake zone, this standout parcel of waterfront property is fit for your grand design & offers a truly rare opportunity to create something magnificent. With seemingly endless possibilities, this private enclave at the edge of the world is simply a must see. Now offering a premier waterfront site in coveted Hillsboro Mile. Encompassed gracefully by the Atlantic and inland waterway while boasting 100GÇÖ of ocean frontage and over 120GÇÖ of direct Intracoastal in a no wake zone, this 1.7-acre property is fit for your grand design. Located near the Hillsboro Club and the Hillsboro Inlet Lighthouse and conveniently situated midway between the metropolitan areas of Miami & Palm Beach, this unique ocean-to-Intracoastal estate offers a truly rare opportunity to create something magnificent. Vast verdant grounds paired w/dramatic sweeping views elevate this exclusive property to a class all its own, making it feel as if itGÇÖs floating at the edge of the world. Such plenitude, found within this exquisite standout parcel, is simply not to be missed. Magnificence on the Mile. Three miles of pristine private beach and the cleanest water I've seen. Direct ocean luxury apartment with views of the ocean or intracostal from every room. 3 bedroom/3 1/2 bath with formal dining room, family room and living room, library, and master with adjoining office. 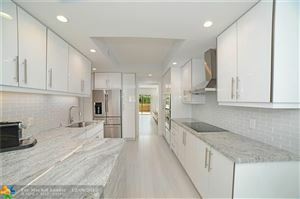 The kitchen is a culinary masterpiece with custom cabinetry and yards of counter space. All baths and kitchen recently remodeled with classical design. 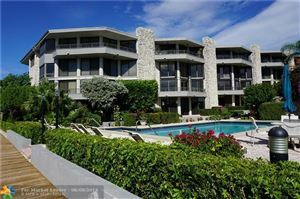 The Kingsley is an elegant building on exclusive Hillsboro Beach. Only 13 residences. The generous sized condos are stately and private. The maintenance fees are the lowest around for this size space! The Study, Master Bedroom, and Dining Room have been virtually staged. ENJOY THE LUXURY LIFE STYLE OF THE PRESTIGIOUS GÇ£OCEAN GRANDE BEACH & MARINA CONDOMINIUMGÇ¥ AND THE TRANQUILITY OF YOUR OWN PRIVATE BEACH, THIS SECOND FLOOR UNIT WITH 3 BEDROOMS AND 3 -+ BATHROOMS BRING IT TO YOU A FANTASTIC VIEW TO THE OCEAN AND THE INTRACOASTAL FROM THE RELAX OF THE BALCONIES; MARBEL FLOOR FROM WALL TO WALL, GRANITE COUNTERTOP KITCHEN, ANTI IMPACT WINDOWS, 24/7 FRONT DESK SECURITY AND VALET PARKING, 2 CAR GARAGES INSIDE THE BUILDING, BUSINES CENTER, 2 STORE FINESS ROOM, LIBRARY, SOCIAL ROOM AND MUCH MORE. 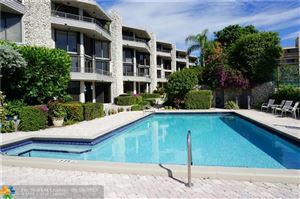 Two-story Beach & ICW Townhome on the Prestigious Hillsboro Mile. 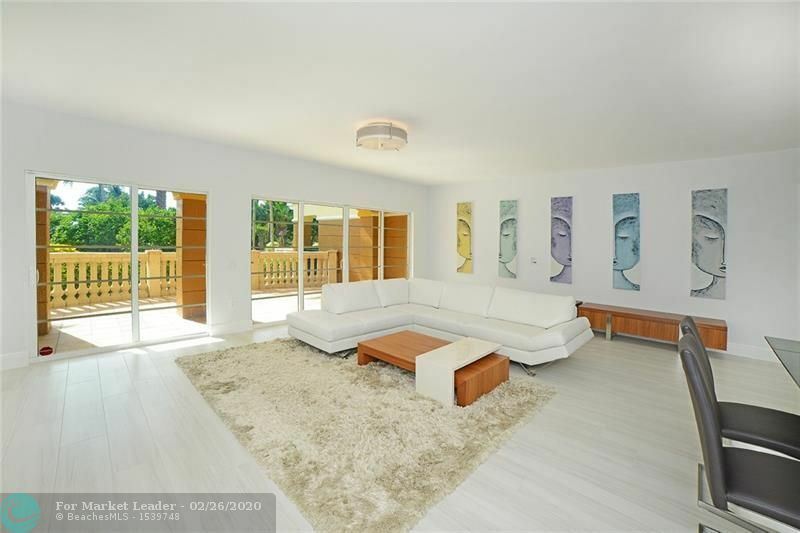 Most Spacious Listing Under a Million! Nearly 3000 sf of home & almost 1000 sf of patios to entertain from. Custom cabinets throughout. Master Bedroom Suite includes a private balcony with Intracoastal water views to the north. Plenty of storage + a 2 car garage & you can park your motorcycle here! Hillsboro Square features: Ocean & Intracoastal waterfront access, ICW deck & fingerling piers, pool, deeded Beach with private access & all within a mile of the pier, restaurants & shops. They are pet friendly too! 2 Bedroom 2 1/2 Bath Dream Home. Large balcony overlooks the ocean. 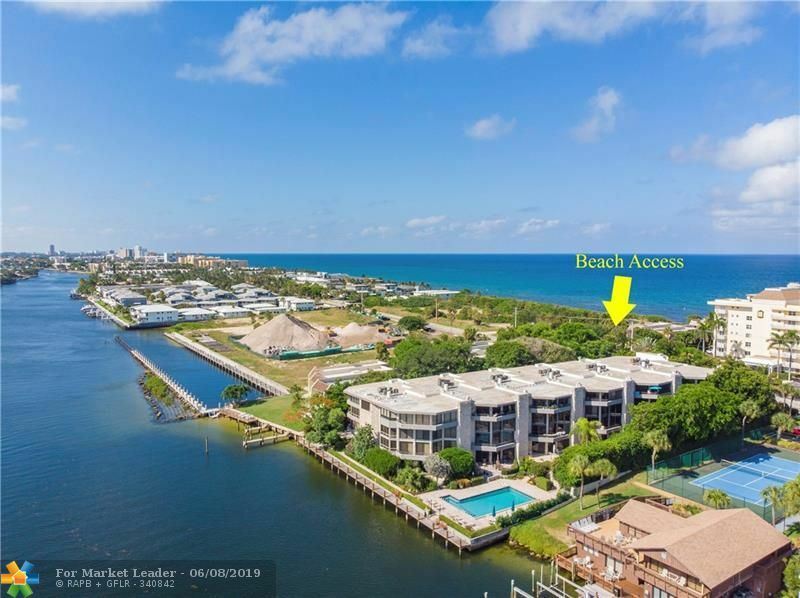 Luxury building on Hillsboro Mile featuring pool and jacuzzi on the ocean, clubhouse on the intracoastal, gym, tennis court, dockage available, 2 deeded parking spaces in garage, cable TV, security and pet friendly! Millionaire's Mile also know as Magnificent Mile!